Each year SMAR recognizes the success of our members by means of Production Awards. An Awards Ceremony is held in February or March to celebrate together. Beginning in 2014, SMAR’s Community Relations & CARE Award Committee has organized a fundraiser benefiting a local charity which helps with monetary burdens of those suffering with cancer. 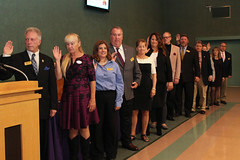 A ceremony is held each year for the installation of new Officers and Directors to the Association in October. 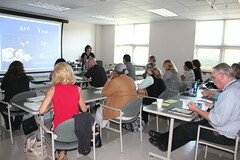 An election of Officers and Directors is held each October at the Annual Membership Meeting. 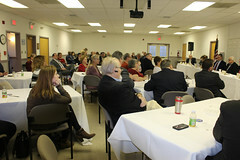 SMAR members enjoy the opportunity to meet and discuss issues with local legislators. The annual event is held early in the legislative session to allow the Southern Maryland delegation to hear from REALTORS® and to be clear on where they stand before legislative hearings on those issues are held. Provides an opportunity to TURBO CHARGE your real estate business by learning from local industry leaders. 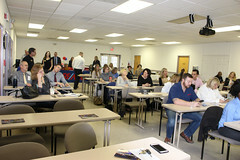 A networking session is held after the event to mingle with presenters and fellow REALTORS®. This annual event is an opportunity for REALTOR® members to enhance their training and meet with vendors supporting the real estate industry. It also allows SMAR Affiliate members the chance to create, renew and strengthen their business ties to the local REALTORS®.